One of the world’s largest publicly-traded commercial real estate credit REITs. Colony Credit Real Estate, Inc. is a commercial real estate credit REIT focused on originating, acquiring, financing and managing a diversified portfolio of commercial real estate debt and net leased real estate investments. We primarily invest in senior mortgage loans, mezzanine loans, preferred equity, debt securities and net leased properties predominantly in the United States. Our investment objective is to preserve and protect shareholder capital, while producing attractive risk-adjusted returns and a secondary objective of capital appreciation. Our investment strategy is dynamic and flexible, enabling us to adapt to shifts in economic, real estate and capital market conditions and to exploit market inefficiencies. We may expand or change our investment strategy or target assets over time in response to opportunities available in different economic and capital market conditions. We believe this flexibility will allow us to employ a customized, solutions-oriented approach that is attractive to borrowers and tenants. We are externally managed by an affiliate of Colony Capital, Inc. (NYSE: CLNY), a global real estate and investment management firm with a successful track record of investing across the real estate capital structure and managing public, diversified mortgage REITs. We believe our direct access to Colony Capital’s highly experienced management team, global real estate platform and industry relationships provides us with significant advantages in sourcing, underwriting, structuring and managing a robust pipeline of investment opportunities as well as access to debt and equity capital to fund our operations. Highly experienced, cohesive team with demonstrated track record and unwavering commitment to create stockholder value. Kevin P. Traenkle serves as Chief Executive Officer of Colony Credit Real Estate, Inc. 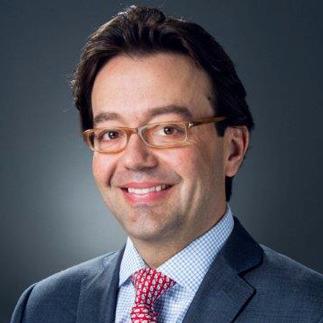 In addition, Mr. Traenkle is the Executive Vice President and Chief Investment Officer of Colony Capital, Inc. 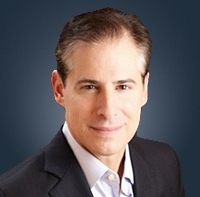 In his roles at Colony Capital, Inc. and its predecessors, he has been involved in many facets of the businesses, including business strategy, product development, global client relations, oversight of individual investment and divestment decisions, as well as portfolio construction and risk management. Mr. Traenkle received a Bachelor of Science in Mechanical Engineering in 1992 from Rensselaer Polytechnic Institute in Troy, New York. Neale W. Redington serves as Chief Financial Officer and Treasurer of Colony Credit Real Estate, Inc. Mr. Redington previously served as the Chief Accounting Officer of the Company between January 2018 and November 2018. In addition, Mr. Redington serves as Managing Director and the Chief Accounting Officer of Colony Capital, Inc. (“Colony Capital”), where he is responsible for financial accounting and reporting for firm-sponsored investments and related affiliates and subsidiaries of Colony Capital. Prior to joining the predecessor Colony Capital business in 2008, Mr. Redington was an audit partner in the real estate and hospitality practice of Deloitte & Touche LLP. During his twenty years with Deloitte, Mr. Redington worked in both London and Los Angeles. Mr. Redington, a Certified Public Accountant (license inactive) and a Chartered Accountant in England & Wales, received a Bachelor of Commerce in Accounting degree with Honors from the University of Birmingham in England. David Palamé is General Counsel at Colony Credit Real Estate, Inc. Mr. Palamé is responsible for legal, regulatory and compliance activities and other support for the Colony Credit business. In addition, Mr. Palamé serves as Managing Director, Deputy General Counsel at Colony Capital, Inc., where he is responsible for global legal, private capital formation, investment allocation and support for the Colony Capital business. Prior to joining the Colony Capital business in 2007, Mr. Palamé was an associate with the law firm of Sullivan & Cromwell LLP and served as a law clerk to the Honorable William J. Rea, United States District Court for the Central District of California at Los Angeles. Mr. Palamé received a Bachelor of Arts from the State University of New York at Buffalo and a Juris Doctor degree from the University of Pennsylvania Law School, where he served on the board of officers of the University of Pennsylvania Law Review. Frank V. Saracino serves as Chief Accounting Officer of Colony Credit Real Estate, Inc. He also serves as Managing Director at Colony Capital where his responsibilities include financial accounting and reporting for Colony Capital managed non-listed real estate investment trusts and registered closed-end investment reporting companies as Chief Financial Officer. Prior to joining a predecessor of the Colony business in 2015, Mr. Saracino was a Managing Director with Prospect Capital Corporation where he served from inception as Chief Financial Officer of its real estate investment trust subsidiaries and registered closed-end investment companies. From 2008 to 2012, Mr. Saracino was a Managing Director and America’s co-head of finance at Macquarie Group, and 2004 to 2008 he was Chief Accounting Officer of eSpeed, Inc., a publicly-traded subsidiary of Cantor Fitzgerald. Mr. Saracino started his career at Coopers & Lybrand where he earned a CPA, and subsequently worked in corporate finance at Deutsche Bank. Mr. Saracino holds a Bachelor of Science degree from Syracuse University. Richard B. Saltzman is the Chairman of the board of directors of Colony Credit Real Estate, Inc. Most recently, Mr. Saltzman served as the President and Chief Executive Officer and a member of the Board of Directors of Colony Capital, Inc. up until November 2018. Prior to joining the Colony business in 2003, Mr. Saltzman spent 24 years in the investment banking business primarily specializing in real estate-related businesses and investments, concluding that chapter in his career as Managing Director and Vice Chairman of Merrill Lynch’s investment banking division. As a member of the investment banking operating committee, he oversaw the firm’s global real estate, hospitality and restaurant businesses. Previously, he also served as Chief Operating Officer of Investment Banking and had responsibility for Merrill Lynch’s Global Leveraged Finance business. Mr. Saltzman was also responsible for various real estate-related principal investments, including the Zell/Merrill Lynch series of funds, which acquired more than $3.0 billion of CRE assets and where he was a member of the investment committee. Mr. Saltzman also serves on the Board of Directors of Kimco Realty Corporation (NYSE: KIM) and is Chairman of the Board of Trustees of NorthStar Realty Europe Corp. (NYSE: NRE). Previously, he also served on the Board of Trustees of Colony Starwood Homes (NYSE: SFR) from January 2016 to June 2017. He was also a member of the Board of Governors of NAREIT, on the board of directors of the Real Estate Roundtable and a member of the Board of Trustees of the Urban Land Institute, Treasurer of the Pension Real Estate Association, a Director of the Association of Foreign Investors in Real Estate and a past Chairman of the Real Estate Capital Policy Advisory Committee of the National Realty Committee. Mr. Saltzman received his Bachelor of Arts from Swarthmore College in 1977 and a Master of Science in Industrial Administration from Carnegie Mellon University in 1979. Darren J. Tangen is a director of Colony Credit Real Estate, Inc. Mr. Tangen is the President of Colony Capital, Inc. Since 2002, Mr. Tangen has held various senior investment related roles at Colony Capital, Inc. and its predecessors, including Executive Director, and Executive Vice President and Chief Financial Officer. Mr. Tangen was one of the key executives (Chief Financial Officer and Chief Operating Officer) responsible for Colony Financial, Inc., having taken the company public in 2009 and leading it through its successful combination with Colony Capital, LLC in 2015. Prior to joining Colony in 2002, Mr. Tangen held positions at Credit Suisse and Colliers International (NASDAQ: CIGI). Mr. Tangen received his Bachelor of Commerce from McGill University and his Master of Business Administration in Finance and Real Estate at The Wharton School, University of Pennsylvania where he was recognized as a Palmer Scholar. Catherine D. Rice is a director of Colony Credit Real Estate, Inc. Ms. Rice has served as a director of Store Capital Corporation, a New York Stock Exchange publicly listed company (NYSE: STOR), since November 2017. Ms. Rice has over 30 years of experience in the real estate capital and investment markets and in the management and operation of public and private real estate companies. From June 2015 to February 2016, Ms. Rice was Senior Managing Director of W.P. Carey Inc. (“W.P. Carey”), a New York Stock Exchange publicly listed company (NYSE: WPC), one of the largest public global net-lease REITs. Prior to that role, from March 2013 to June 2015, Ms. Rice was Managing Director and Chief Financial Officer of W.P. Carey. While at W.P. Carey, Ms. Rice completed a comprehensive reorganization of the finance, accounting, and IT functions as well as the development of the investor relations and capital markets areas to facilitate the company’s growth plan. She was responsible for financial strategy, public capital-raising initiatives and company-wide strategic evaluation, and was also a member of the operating and investment committees. Prior to joining W.P. Carey, Ms. Rice was a partner and a Managing Director at Parmenter Realty Partners, a private real estate investment firm focused on distressed and value-add properties in the southern regions of the U.S. Her responsibilities included both capital raising and investing for the firm’s fourth fund. Prior to that, Ms. Rice was the Chief Financial Officer of iStar Inc. (“iStar”) (NYSE: STAR), a publicly traded finance company focused on the commercial real estate industry, where she was responsible for financial strategy and capital-raising initiatives, financial reporting and investor relations. Ms. Rice spent the first 16 years of her career as a professional in the real estate investment banking groups of Merrill Lynch, Lehman Brothers and Banc of America Securities. During her career as an investment banker, she was involved in numerous capital-raising and strategic advisory transactions, including REIT IPOs, public and private debt and equity offerings, mergers and acquisitions, leveraged buyouts, and asset and corporate acquisitions and dispositions. Ms. Rice received a Bachelor of Arts degree from the University of Colorado and a Master of Business Administration from Columbia University. Vernon B. Schwartz is a director of Colony Credit Real Estate, Inc. Mr. Schwartz was an independent director of NorthStar Real Estate Income Trust, Inc. and a member of its Audit Committee, positions he held between March 2016 and January 2018. Mr. Schwartz served as Executive Vice President at iStar from 2005 to February 2017, where he was responsible for managing a portfolio of real estate investments, including iStar’s condominium portfolio and its European assets. He has also served as President of AutoStar, iStar’s platform focused on the auto dealership market. Mr. Schwartz has been active in real estate investment and development for almost 30 years. Previously, Mr. Schwartz was a founding partner and Chief Executive Officer of Falcon Financial, the predecessor of AutoStar before it was acquired by iStar in 2005. Prior to forming Falcon Financial, Mr. Schwartz was the Chief Executive Officer of Soros Real Estate Advisors, the advisor to Quantum Realty Partners, an offshore real estate investment fund sponsored by George Soros and Paul Reichmann. Mr. Schwartz previously served as Chairman, President and Chief Executive Officer of Catellus Development Corporation, the largest private landowner in the state of California, and also held executive positions at both Bank of Montreal and The Hahn Company, a developer, owner and operator of regional shopping centers. Mr. Schwartz has a Bachelor of Commerce degree in Economics and a Master of Business Administration from the University of the Witwatersrand in Johannesburg, South Africa. John E. Westerfield is a director of Colony Credit Real Estate, Inc. Mr. Westerfield serves as Chief Executive Officer of Mitsui Fudosan America, Inc. (“MFA”) and is a member of MFA’s Board of Directors. MFA is the U.S. subsidiary of Mitsui Fudosan Group, a publicly listed real estate company in Japan. 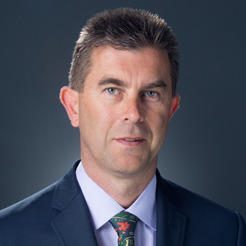 Mr. Westerfield was appointed Chief Executive Officer of MFA in April 2015 after serving as Senior Advisor to MFA’s Board of Directors from 2012 to 2015. Mr. Westerfield spent the majority of his career as a managing director at Morgan Stanley, having joined the firm in 1985 upon graduation from business school. At Morgan Stanley, Mr. Westerfield worked in numerous roles in investment banking, fixed income and investment management, all with a specialization in commercial real estate finance and investment. In his last role at Morgan Stanley, Mr. Westerfield had responsibility for the firm’s global commercial mortgage finance business. Upon retirement from Morgan Stanley in June 2008, Mr. Westerfield formed and managed Braddock Capital Management LLC, a private company which invested in REITs and commercial real estate related assets, including various office, industrial, multi-family rental and condominium development projects, primarily in the New York area. Mr. Westerfield received a Master of Business Administration from Harvard Business School in 1985 and a Bachelor of Arts in Government from Dartmouth College in 1981. Winston W. Wilson is a director of Colony Credit Real Estate, Inc. Mr. Wilson was an independent director of NorthStar Real Estate Income II, Inc. and the chairman and financial expert of its Audit Committee, positions he held between April 2013 and January 2018. Mr. Wilson has also served as a director of NorthStar/RXR New York Metro Real Estate, Inc. and as the chairman and financial expert of its audit committee between February 2015 and October 2018. Prior to becoming a board member, Mr. Wilson most recently worked for Grant Thornton’s New York office, from August 2008 until December 2012 as Partner in Charge and Financial Services Industry Leader, and from August 2011 until December 2012 as National Asset Management Sector Leader. Mr. Wilson has over 28 years of experience with financial services companies including, among others, mortgage and equity REITs, broker-dealers, mutual funds and registered investment advisors. Prior to joining Grant Thornton, Mr. Wilson worked for PricewaterhouseCoopers LLP, Credit Suisse First Boston and Brown Brothers Harriman & Co. Mr. Wilson is a certified public accountant in the states of New York, New Jersey and Pennsylvania. He is a member of the American Institute of Certified Public Accountants and New York State Society of CPAs. Mr. Wilson was also previously a member of the American Institute of Certified Public Accountants (AICPA) Investment Company Expert Panel as well as a member of the Strategic Partners Advisory Committee for Managed Funds Associations. Mr. Wilson has a Master of Business Administration in Finance and Marketing from New York University’s Stern School of Business in New York, New York and a Master of Science in Economics and a Bachelor of Science in Accounting from Brooklyn College in Brooklyn, New York. Mr. Wilson also has a doctorate degree in management from Pace University, New York, where he is also an adjunct professor.